Alane Ferguson, the author of The Christopher Killer captures the reader with the intelligent main character, named Cameryn Mahoney. Cameryn is the daughter of a coroner in a small town called Silverton, and because of this, she is fascinated by forensics and science. As she is reaching the age of eighteen she wants to be more hands-on projects and wants to become her father’s assistant, although there is much protest from Mammaw, her grandmother. Her father finally gives in and she is thrilled to finally have the job as his assistant. However, it becomes a little more complicated when the second case they receive is a victim of the Christopher Killer, and it’s someone she knows. 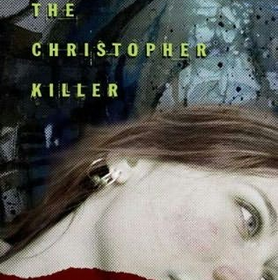 “Oh, God, please no.” Cameryn saw the perfect oval face and the eyes staring blankly, and she felt her hand fly to her mouth.” The Christopher Killer is a serial killer who has been targeting teenage girls all around the united states over the course five years in five different locations. After every murder, the killer leaves a small medal of the saint Christopher on the victim. And with the the murderer on the loose, she must watch out or she will be the next victim. 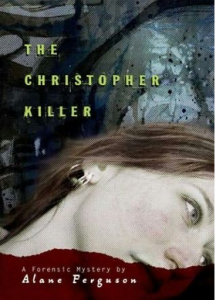 The Christopher Killer by Alane Ferguson starts slow, but picks up speed very quickly with its questions that need to be answered. Once I read a few chapters, it captivated me with its stomach turning details that made it feel like you were in the story. With a good mix of realistic forensic science, and edge of your seat mystery, The Christopher Killer has a jaw dropping twisted ending that will leave you hanging so that you will have to read the second book in the series.